Letter to my son…no matter what. It is the middle of the night and I’m holding my baby. 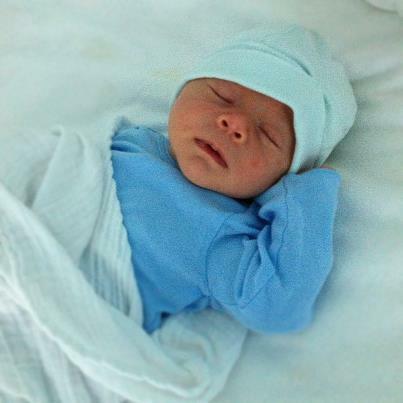 My son Schuyler has just turned a month old and we’re remembering again what it feels like to wake up every 2 hours. My wife Heather is doing all the hard work of nursing him every few hours but in the last week we’ve settled into a bit of a routine where I take the baby starting at about 4am and give him a breast-milk bottle of breakfast and let him sleep away from Mama and let her have 3-4 hours of uninterrupted sleep. On this morning, the baby can’t quite get comfortable after a 3am feeding so at 3:30 we tucked Mama in and Schuyler and I hung out for a few hours. I rocked him for a good 30 minutes while he just watched me, sucking his pacifier, his eyes intently gazing into mine. His face is still mostly expressionless; he’s yet to muster up his first smile, and these days he’s content to just watch. He watches me, he watches the other 3 kids as they dance and twirl and carry on, and mostly he watches his mama. This boy is a watcher. He seems to be a deep thinker, with a sweet and quiet demeanor. As I comforted him to sleep and laid him in his crib just past 4am, I wrote down some thoughts I don’t want to forget. This letter is for him- but in some ways- it’s a reminder for all of us on the amazing, difficult, and transformative journey of parenthood. Skye- my son- you have just turned 1 month old. And though I wasn’t sure how our family of 5 would transition to 6, it now seems as if you have always been with us. You just fit the whole Sund clan so perfectly. Its like God had already prepared our hearts for the spot you now hold. It is so beautiful. And as we share our love with you and get to know you, your mama and I are wowed by your life. I’ve done a lot of thinking in the last weeks about some things I want to teach you and tell you to hold onto. So here is some advice from your father…I hope you are able to remember it for all your days. As I held you and rocked you this morning, I spent a good long time looking into your eyes and wondering what kind of man you will become. Your eyes are so dark and beautiful. What kinds of wonderful things will you see? What will your eyes behold? You have a lifetime of adventure before you. You will see great things. Remember to keep looking. Don’t be content with just skin-deep observations or judging others by first impressions. Be a man who truly sees others as they really are. Look deep. The people I know that live the best lives are those that have developed an ability to really see. Schuyler, your mom and I pray for you every day. We want you to be a man who loves God in his heart and displays that love by serving others and changing the world. When King David was dying, he gave these wise words to his son Solomon: “As for you my son, know the God of your father, and serve Him with a whole heart and a willing mind; for the Lord searches all hearts, and understands every intent of the thoughts. If you seek Him, He will let you find Him; but if you forsake Him, He will reject you forever. Consider now, for the Lord has chosen you to build a house for the sanctuary; be courageous and act.” I hope you have my faith son. I have seen a lot of people try to live life on their own and it just isn’t how we’re wired by God to live. We’re called to follow the One who made us. Follow Him! Seek Him…the bible says He will let you find Him. Cling to that promise. In the verse David is telling his son Solomon to build a literal house, as he was charging his son to build a great temple for God to live in. And Solomon built it. I don’t care what you build with your life son, whatever profession your choose or vocation your end up doing. But build something great with your life, in your relationships, in your service to others; make your life beautiful by displaying God to the world. That is your highest calling. David also told his son some words I want to share with you: “Be strong and courageous and act; do not fear nor be dismayed, for the Lord God, my God, is with you. He will not fail you nor forsake you.” Skye, God is with you. You can be strong not by your own will or own accomplishments, but what God has already done in you and wants to do through you. Never forget- God is near. Honor and serve Him and in this way your life will be greater than you ever imagined. I need you to know, as a pastor’s son, the world will put pressure on you that you must look a certain way or act a certain way. Disregard other’s false judgments on who you are. Look only to God and cling to the values of your family, but feel free to carve your own path. Your mama and I will love you no matter what. We are prepared to love you even if your choices don’t look like ours, no matter whom you choose to love, no matter what you choose to do. You will make mistakes- we’re prepared to stand by your side no matter how bad the consequences are. You will hurt and we’re prepared to hold you until you can walk on your own again. And you will sometimes fall- and we promise to help you get up again. We love you son. I love you. I look forward to watching you become the man that you will grow to be. I look forward to spending time together and teaching you about fishing, and the ocean, and relationships and serving others and everything else. I’m not perfect son, but I will share with you what I’ve learned over the years about living the awesome adventure of following Jesus. I’m thankful for your life, baby boy. I promise to stand with you forever…no matter what. I came across this parenting manifesto recently and it speaks pretty well of the promises I have made to you. Enjoy. I promise to love you with all that I am. Reblogged this on All Things Hoped For. 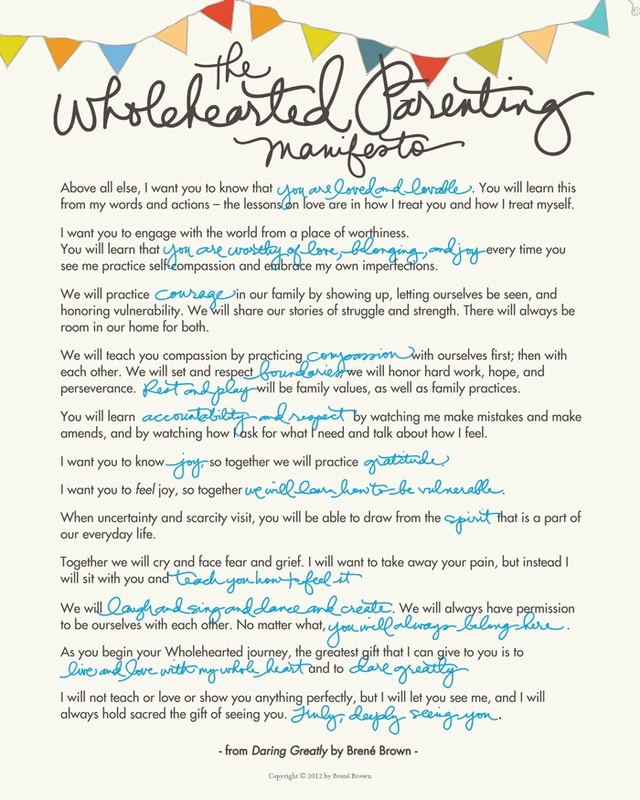 I love the Parent’s Manifesto….. And the love you have for your son….for all of your children!